Personifications of sexually transmitted diseases with a warning 'Don't pass it on'; advertisement by Health Edco. Colour lithograph by V. Herschberger. Herpes ... vaginitis. 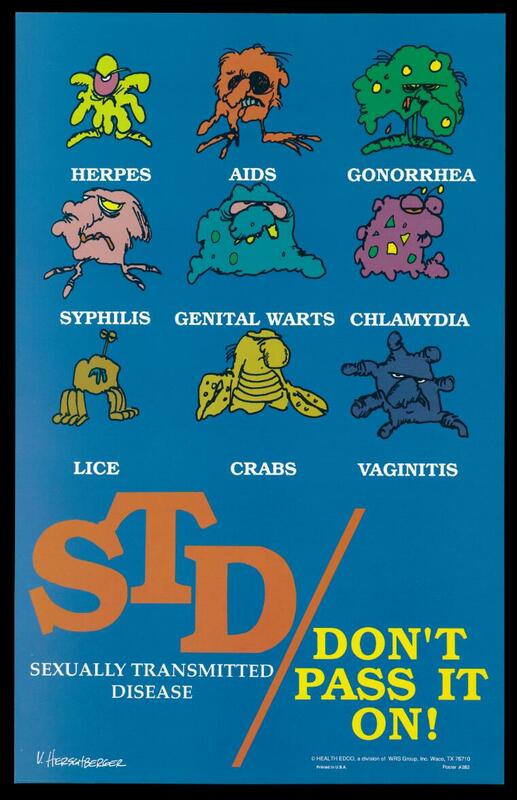 STD Sexually Transmitted Diseases / Don't pass it on. © Health Edco a division of WRS Group, Inc., Waco TX 7610. Printed in U.S.A. Poster #282. V. Herschberger.